So your partner gets a fantastic new job abroad and you both agree it’s too good an opportunity to miss. You pack up, ship up and move countries. In the mean time you might wonder, “what about me?” “Can I find a job, am I legally allowed to work there or do I even want to work?” Like most expat partners, you probably will have to give up your old job in order to make the move abroad. And now…what!? Time for new plans and time to look for new opportunities! What would happen if you aren’t able to find work, or for certain reasons cannot legally work in your new country. This can make a profound difference to your life. On the other hand it can also give you lots of new opportunities. Maybe you will decide you (first) want to spend some more time with your family, get them settled, use the opportunity to do the study you always dreamed about, or pick up the hobby you never had the time for when rushing between job and family? Maybe you are not able to find a job in the field you have been working before; but you certainly have other skills. Could this be the time to consider your options and try something new? I have met many expat partners in the same situation who started their own business. They used their skills and looked at the options their new country gave them. A friend, who used to practice law, started an interior decoration shop in Jakarta. 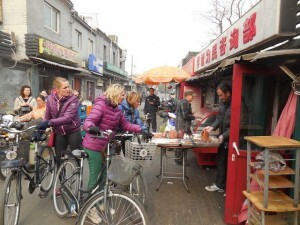 Another friend set up a business by organizing sightseeing tours in Beijing. And if you want to make sure you can start again in a next country, create a portable career: something you can do wherever you go. I started giving training and coaching expat partners and even when I was not legally able to work, I could still work within the expat community. If starting your own business is not your cup of tea, or you first need some time to consider, I can recommend doing some volunteering. This experience will help you make a connection with your new country; present you with potential new friends, maybe even business relations. It will definitely give you a sense of satisfaction. So moving abroad can create all kinds of options that you had perhaps never thought of and it can be the start of making new plans and looking for new opportunities.